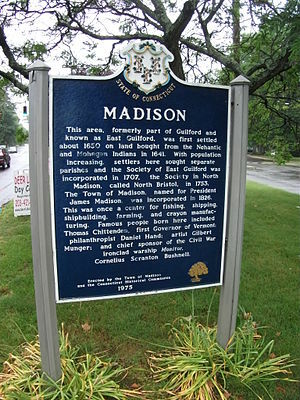 A few weeks ago, my family and I moved from the Washington, DC area to Madison, CT, about an hour and half up I-95 from New York City. I’m now working on generating PR and marketing work in my new hometown and the surrounding area. This is a quick post to say that if you’re looking for communications help, I invite you to look over some samples of my PR and marketing work, as well as additional examples of my writing. I can also work remotely if you’re based outside the area. I’ve done this before and would be happy to discuss it with you. Please contact me via email at blog AT mikeholden.com or through LinkedIn. As I take the next step forward in my career, I’m looking to do two things and I hope you’ll take a couple of minutes to check this out and share it with people. On the first item, whenever it has come time for me to take the next step in my career, I’ve almost always found that new opportunity through my network of business contacts, former colleagues, classmates, family and friends. My hope is that I can leverage my network to take my job search viral this time, putting my talents and resume in front of more people quicker. If you think others might benefit from working with me, either on a full-time or contract basis, please use the sharing options at the bottom of this post to pass it along to others. For over a dozen years I’ve worked in marketing and PR, compiling experience across a number of industries such as retail, education, the performing arts, non-profits, membership organizations, and more. If you want to develop email campaigns that generate clicks to your website, I can take your objectives and turn them into marketing copy that excites people. If you want blog content that will enhance your Search Engine Optimization (SEO) efforts and that your customers will want to share via their social networks, contact me so that we can discuss it. If creative, out-of-the-box PR ideas are what you’re looking for, I can develop campaigns that will get you press and word-of-mouth buzz. I’ve successfully pitched stories at the local and national level to outlets such as the New York Times, NBC Nightly News, Politico, Yahoo Sports, The Washington Post and hundreds of others. With D.C. area restaurant company Austin Grill, I launched a promotion with the NHL’s Washington Capitals that gave fans free wings anytime the team scored six goals or more at home. It received press from Deadspin.com, was mentioned by Alex Ovechkin in a post-game interview, made it onto team owner Ted Leonsis’ blog and was featured in this Washington Post article: “Caps Fans Devour Wings.” A similar version of the wings promotion lives on today with Glory Days Grill. While with education non-profit ABCTE, the CEO and I brainstormed an idea to promote a free trial of our program through a call to action on the main page of our website, which ended up driving in 75-100 sales leads per week for the company. In 2009, using this blog at mikeholden.com, I helped bring attention to how some D.C. area sports fans were frustrated about a ComcastSportsnet channel not being carried by Verizon FiOS. Verizon eventually added the channel (check out the comments here). At the World Adult Kickball Association (WAKA), I used a combination of paid ads along with online content and contests to grow the organization’s Facebook fans from 9,000 to over 17,000 in less than six months. I worked with the IT team to launch the Kickball Today blog, using it as landing page for emails and social media campaigns. I also oversaw development of a franchise section of WAKA website and a sports franchise microsite. Those are a few examples of my work. Please check out my LinkedIn profile for more on my experience. I thought it was important that I list some of what I’ve done in PR and marketing, but I’m really more interested in discussing how I can leverage this experience to help you and others. If you know someone who might be interested in working with me, please take a minute to share this via email, Facebook , Twitter, etc. using the links below. 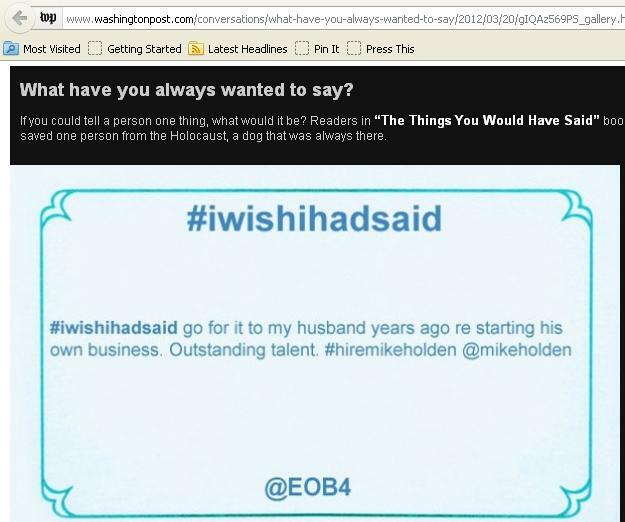 I can also be reached via email at blog AT mikeholden.com, on Twitter at @mikeholden (I’m also going to use the hashtag #hiremikeholden there to help spread the word about this blog post), or just call me at 703-606-8398. Thanks in advance to all of you who help spread the word! Our WAKA Kickball box now has a QR code on it. Check it out at the link. 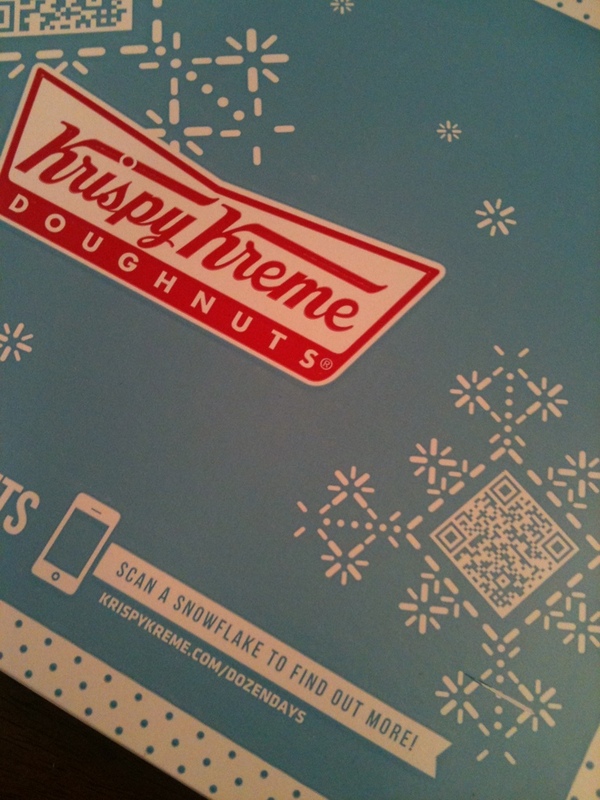 This is a cool use of QR codes by Krispy Kreme on their doughnut boxes. How’s this for brand loyalty? One of our employees and players got a WAKA Kickball tattoo!